The first elected woman president of an African country, Ellen Johnson-Sirleaf was also listed as one of the world’s 100 Most Powerful Women by Forbes. This evocative memoir recounts Sirleaf ’s childhood upbringing and rise to political power in Liberia. More than a simple biography, Sirleaf ’s account details how she stood firm in the face of physical abuse early in life and carried that strength over into her career as a young economist in Samuel Doe’s regime. What a powerfully strong woman! 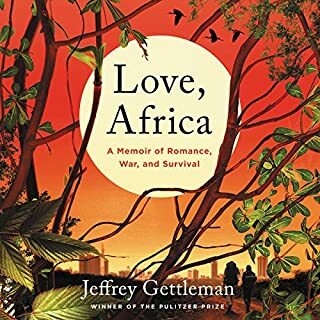 A seasoned war correspondent, Jeffrey Gettleman has covered every major conflict over the past 20 years, from Afghanistan to Iraq to the Congo. For the past decade, he has served as the East Africa bureau chief for the New York Times, fulfilling his teenage dream of living in Africa. Love, Africa is the story of how he got there - and of his difficult, winding path toward becoming a good reporter and a better man. 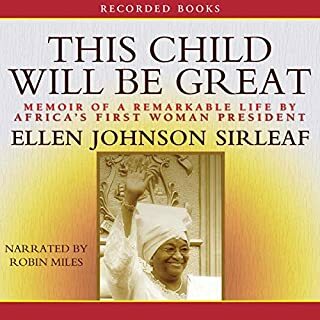 The harrowing but triumphant story of Ellen Johnson Sirleaf, leader of the Liberian women's movement, winner of the Nobel Peace Prize, and the first democratically elected female president in African history. When Ellen Johnson Sirleaf won the 2005 Liberian presidential election, she demolished a barrier few thought possible, obliterating centuries of patriarchal rule to become the first female elected head of state in Africa's history. 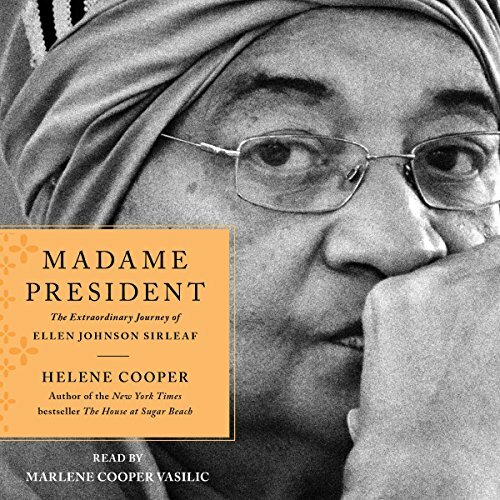 Madame President is the inspiring, often heartbreaking story of Sirleaf's evolution from an ordinary Liberian mother of four boys to an international banking executive, from a victim of domestic violence to a political icon, from a postwar president to a Nobel Peace Prize winner. 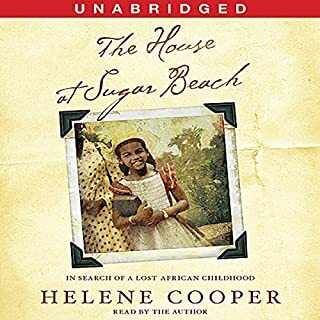 Pulitzer Prize-winning journalist and best-selling author Helene Cooper deftly weaves Sirleaf's personal story into the larger narrative of the coming of age of Liberian women. The highs and lows of Sirleaf's life are filled with indelible images, from imprisonment in a jail cell for standing up to Liberia's military government to addressing the United States Congress, from reeling under the onslaught of the Ebola pandemic to signing a deal with Hillary Clinton when she was still Secretary of State that enshrined American support for Liberia's future. Sirleaf's personality shines throughout this riveting biography. Ultimately, Madame President is the story of Liberia's greatest daughter and the universal lessons we can all learn from this "Oracle" of African women. ©2017 Helene Cooper (P)2017 Simon & Schuster, Inc.
As a public health professional, I was impressed how President Ellen Johnson Sirleaf handled the Ebola Crisis in Liberia (2013-2016). President Sirleaf has now launched a massive mental health program for the Ebola survivors. Liberia was just beginning to make some headway out of its horrible state when it was hit by the Ebola epidemic. I started looking for more information about her. I discovered she won the Nobel Peace Prize in 2011. This book not only provides the biography of Sirleaf but also provides a brief overview history of Liberia. Cooper tells the early life of Sirleaf, her marriage at seventeen and birth of four boys quickly thereafter. Cooper covers the horrible Civil War (1989-2003) and the imprisonment of Sirleaf and her near brushes with death. Cooper covers the horrible violence and carnage of the Civil War so readers need to be prepared. Sirleaf worked for the Liberian Treasury Department and then went on to work at the World Bank. She became an expert in government debt. When she was elected to the presidency two years after the Civil War ended, the country was 4.7 billion dollars in foreign debt. Sirleaf used her knowledge and contacts to get this debt forgiven; otherwise, the country would not be able to survive. I was shocked to hear how predatory funds buy up poor countries’ debt and then charge enormous amounts of interest; the countries are then unable to ever get out of debt. Sirleaf was the first democratically elected women president in Africa. She is now the longest serving female president. She has brought peace to the war-torn country. The book is well written and meticulously researched. The author tends to present Sirleaf in a favorable mode. Cooper does cover the mistakes made by Sirleaf and also covers the various charges of corruption in her government and how she tried to correct it. The author also indicated that Sirleaf gave back to her opponents in the manner she was treated. Her opponents called her a United States imperial puppet. Cooper reveals what horrible things the women of Liberia endured to obtain their freedom and basic human rights. Cooper covers the native cuisine and culture of Liberia. The language is a mixture of English and Creole with British and American slang tossed in. The story of Helene Cooper is also interesting. Her family fled the Civil War in Liberia when she was thirteen and came to America. She was educated in the United States and worked as a reporter at the New York Times where she won the Pulitzer Prize for her coverage of the Ebola Epidemic in West Africa. 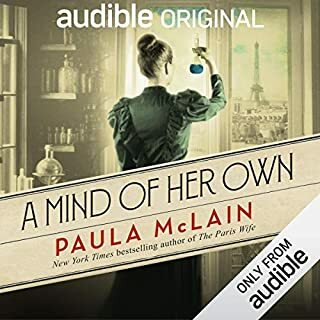 I read this as an audiobook downloaded from Audible. 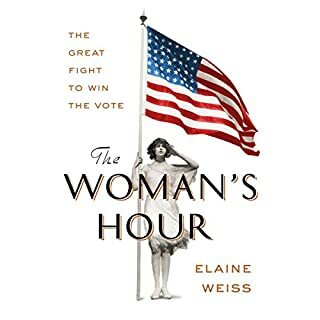 The book is about thirteen hours long. Marlene Cooper Vasilic does an excellent job narrating the book. Vasilic does a great job with the Liberian manner of speech and patois. This book works best as an audiobook because of the accents and patois. Yay!!!! Madame President is done!!! My conclusion: This book was specifically to tell the Ellen Story-her struggle, successes and failures. Completely told through the eyes of herself and people who knew her best. It doesn't have a single objective or critical voice if that's what you're looking for. It serves the purpose of a story for Ellen and of Ellen. But overall it's a very good read. When I first started listening to the book, I was quite disappointed in how uncritical it is of the woman who became Mme President. It felt like propaganda. 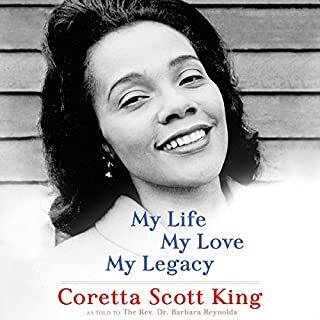 As I kept listening, I just adopted the attitude that the book was really just an autobiography--Mme President was clearly the primary source and it feels as if the book was written to get her approval. With this mindset, the book was far more interesting. It is not a critical look at the rise of this person but her story. The reading was done by a Liberian which greatly added to the story. Interesting view from within. I know a young refuge, a middle aged refuge and now I feel like I have an older Liberian's perspective. I loved the house on Sugar Beach so I bought this when I heard her on NPR. Baboon no credit monkey so ( my attempt at Liberian English). Thank you for sharing yourself with the world. Very interesting history of politics in Liberia. Well written but not for the faint of heart. I could not finish it because of the horrific brutality. If you can work your way through this it is definitely an interesting worthwhile read. I’m very thankful to the author for giving me the insight into the tragic history of Liberia and the resiliency of the women there. This book is raw and not for the faint of heart. But it is for people who want to know the ugly truth and gain true compassion. Wonderfully read with authentic accents as well. I learned so much listening to this book. I am so happy it was referred to me. It was definitely an eye opening read. Wow. She is so smart and talented. Just what Liberia needed in order to rebuild the country. Wonderfully narrated and interesting story. Madame is a captivating person who has done so much. Truly an inspiration! Very well written a MUST read! Very interesting history of the West African country Liberia. This book will have you looking up maps of the country and the people mentioned in the book.